1. Keep water from freezing in outdoor pipes. This means disconnecting outdoor hoses and draining any pipes outside. If you don’t, ice can freeze and damage the pipe or hose by expanding and building pressure. Remember to turn off any water source that leads outside. If temperatures get dangerously cold, run water during the evening to warm the pipes. This will prevent stoppage caused by freezing pipes and ice. If water flow becomes restricted, this is sign of freezing. 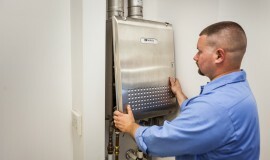 Call us to check on the state of your pipes if you are worried about pipe freezing. Do not try to thaw them yourself! 3. Repair leaks and insulate. 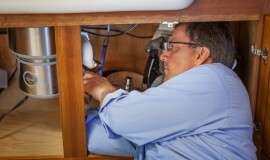 Minimize exposure to cold temperatures by letting us fix any leaks to minimize spreading moisture. Insulate pipes in colder areas like the attic or garage, so you don’t have to worry about frozen pipes. 4. Schedule regular plumbing check-ups. Call Diliberto Plumbing so we can make sure your house is in the right shape to withstand the cold!